My family is a bit of a different kind of family; while others may go camping together or plan potlucks and BBQs we pack our bags and meet on the other side of the world. Family vacations are, and have always been, incredibly cool in our books. 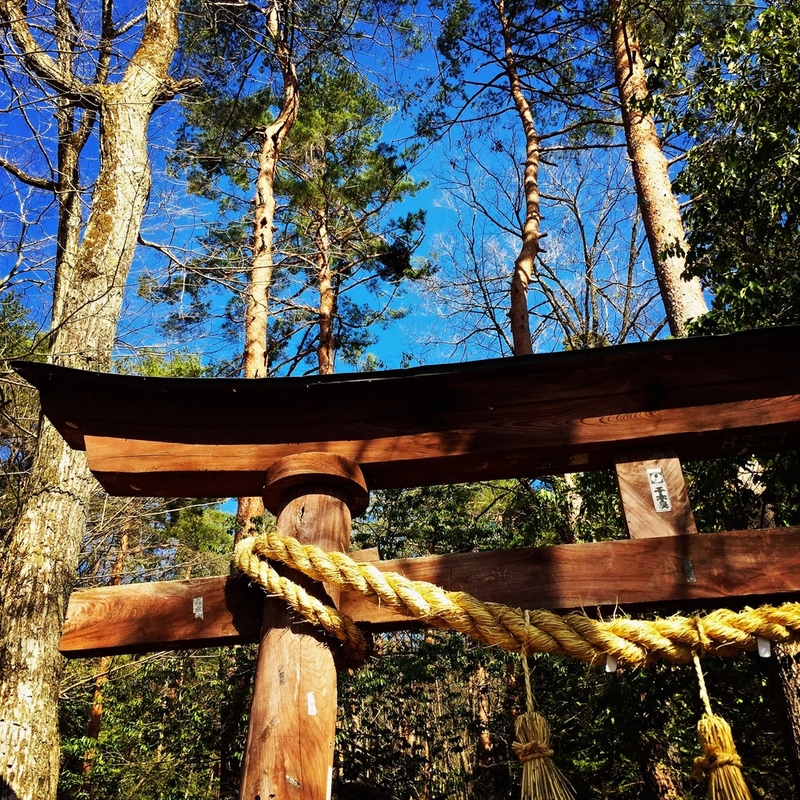 This time, our wanderlust took us all the way to Japan. Yes, that’s very far away. It’s about 24 hours of traveling total, and a whole lot of mind-numbing jet-lag. But it’s amazing. And it was here that my family spent 10 days eating our way through this beautiful island, temple hopping, cherry blossom gazing and avoiding the hoards of tourists packed onto brightly colored buses. But eating was always our most important activity. In the interest of brevity, I’ve condensed my observations to just a few, but know that there are many more where these came from. Bento boxes aren't quite the highest category of Japanese cuisine; in fact, traditionally, Bento boxes are simply the single-portion lunch that an office worker brings with them to work. They usually contain rice, fish and/or meat, pickled or cooked vegetables and other delights. They are either prepared at home or are also available in supermarkets, department stores, 7-11’s and the like. And then there are restaurants that do a fancy type of Bento box (with a fancy-type of price). These Bentos feature many types of foods in very small quantities. So you get to try a little bit of everything. It’s like getting a little toy box for food-loving adults and sampling your way through an entire years worth of food, with just a bite of each dish. Which really had me thinking, this is really a great way to eat. Especially when traveling. There’s no better way to taste everything without having to feel like you’re going to burst. And there’s no risky commitment; with the bento box format, if you don’t like it, on to the next one. 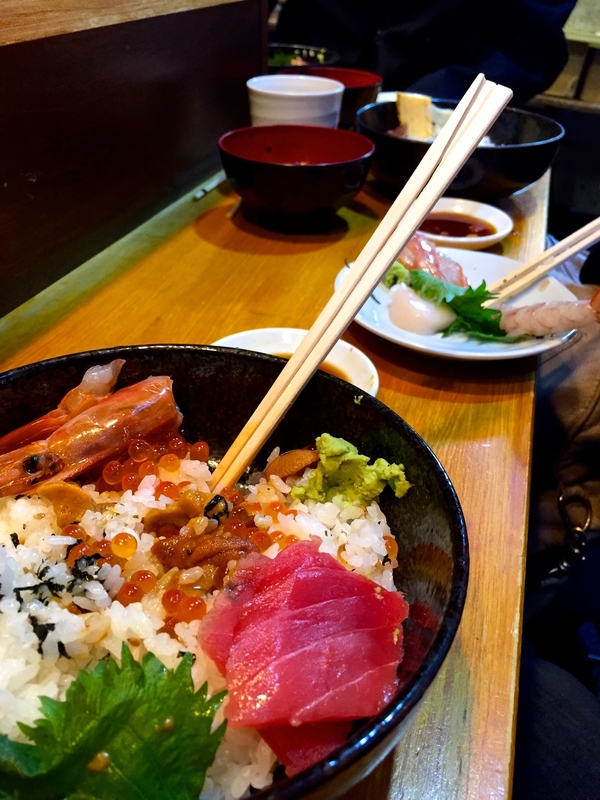 Ramen (a noodle soup in a fish or meat base with a variety of toppings) is a staple of Japanese cuisine, but the magnitude of its importance in everyday Japanese meals is hard to describe. I suspect it is second only to rice. I’ve now understood that I need to rescind anything I’ve ever said or written about comfort food: Ramen reigns supreme. And it gets extra bonus points for fast-ness and cheap-ness. There’s a Ramen shop in every neighborhood and nearly every street. They are tight spaces that are relatively full throughout the day and they usually feature a long bar around the kitchen area which is totally open for viewing. It’s very common to see Japanese people running in to eat a quick Ramen meal alone. You typically won’t be met with much of a menu, if at all, as there are usually only one or two options. But rest assured, they are all delicious. We ate Ramen nearly every day, always trying new places, and I was always declaring “this is the best Ramen yet.” Only to change my mind the very next day, of course. My favorite was Miso Ramen, which is made with adding fermented soybeans (miso) with a rich meat broth, creating a thick, nutty and hearty soup. I remember being disgusted when I heard stories of travelers going to Tokyo’s famed Tsukiji Market for sushi breakfast. I mean, I like sushi. In fact I love it. But for breakfast? That sounded gross. This was until I found myself in the epicenter of the raw fish world. And all of a sudden, I found myself being excited at the sound of a 5 AM alarm clock because that meant I would be eating sushi soon enough. As you may be able to tell, I like words, and I’ve been talking practically since I left the womb, but I am still absolutely and utterly speechless about the sushi we ate for breakfast at the market. It melted in my mouth. It had flavors I didn’t know exist in fish, or at all for that matter. Although neither green tea or tea in general originated in Japan, they came to Japan a long long time ago and are now a major, vital component of Japanese tradition and culture. Likewise, my family also takes tea quite seriously: we like hanging out in the kitchen, but it’s physically impossible to be eating all day long, so we turn to tea to fill the void between meals. In Japan, tea is less of a beverage and more of a ceremony. Especially if we’re talking Matcha, the fine green tea which has been getting quite a bit of press in the West as of late. 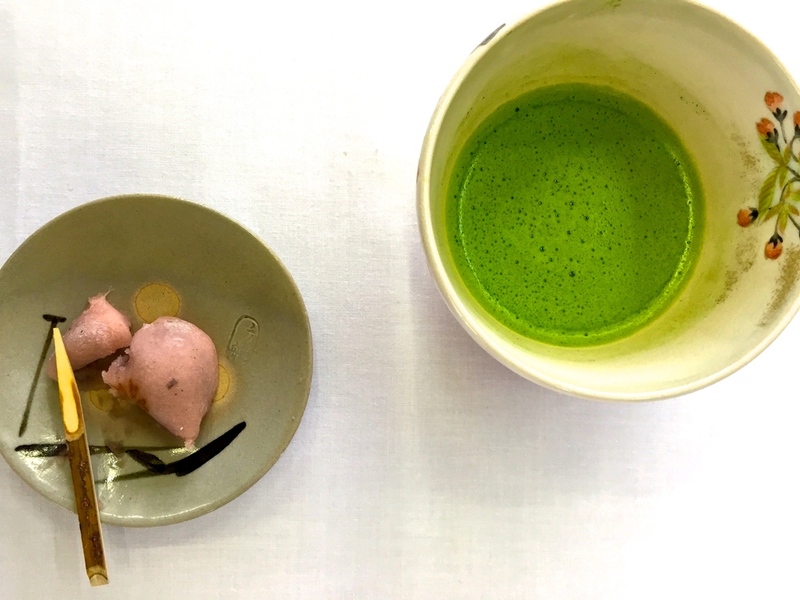 Matcha is so special that leading a Matcha ceremony is an entire skill-set and attending a Matcha drinking ceremony is for those who are masters of etiquette. Every single pour, every single movement associated with preparing this tea (even wiping the tea cup) is elegant and precisely choreographed. So although we most certainly made complete fools of ourselves at the tea ceremonies we attended, we thoroughly enjoyed them, and our Japanese hosts seemed forgiving enough of our ignorance. You may have noticed this travel recap didn't feature a “make at home” portion. That’s because I actually don’t have the faintest clue how to replicate any of this in the comfort of your home. So basically, my point is, never turn down a trip to Japan: go go go.